Dawn Morrissey has 20 years of experience in Cybersecurity and Compliance event planning. As CEO and Founder of Data Connectors, she puts together and hosts Cybersecurity conferences in 50 major cities each year across the US and Canada. Each conference includes 30-60 cybersecurity exhibitors, 8-10 cybersecurity industry leading speakers, a Federal Agency keynote speaker, a 3-5 member CISO Panel Discussion and a Networking Reception. Dawn also brings a very targeted audience to her conferences. The targeted attendees are IT Director level and C-level buyers of cybersecurity products and services. Dawn believes in women and their ability to achieve anything they want to achieve. 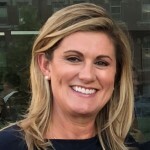 She founded her company, Data Connectors, in 1999 and since then Data Connectors has planned, coordinated and hosted more cybersecurity conferences than any other company in North America. When Dawn first started the company in 1999 there were virtually no women in Cybersecurity. Today she is proud to say around half of her clients, customers, Information Technology experts and speakers are now women! She says she expects women will become the driving force in all IT sectors for companies of all sizes and industries. After earning her bachelor’s degree in Political Science from the University of Missouri in 1992, she started selling similar technologies as her clients sell today. Dawn is a very busy working mother of three children. She started the business from home in 1999 and from there Data Connectors has enjoyed continual growth. She is a member of Women in Cybersecurity and actively works with Infragard, ISSA and other cybersecurity organizations. She enjoys exercise, yoga, reading and spending time with her family.